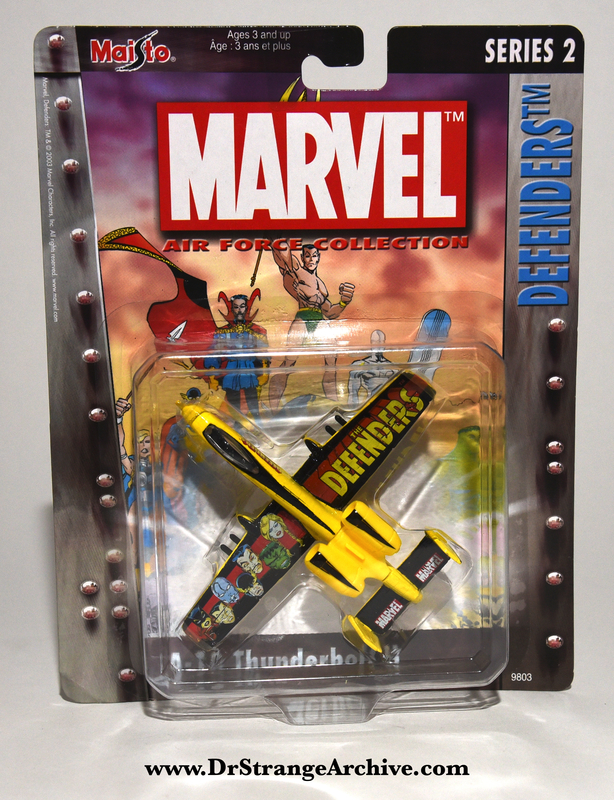 Description: This is a yellow A-10 Thunderbolt toy with Defenders written one wing and the faces of seven Defenders on the other wing. The card has a picture with six Defenders to include Dr. Strange. 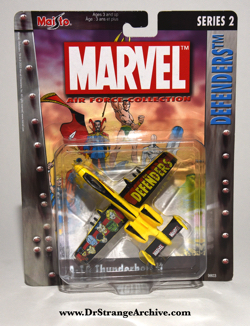 This plane belongs to Series 2 of the Marvel Air Force Collection along with fourteen other planes. #15252 is printed below the bar code on the back of the card.